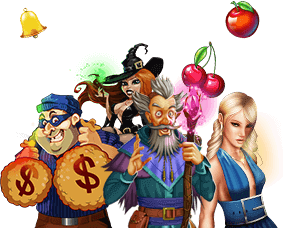 Online Slots Games for Real Money! Grab a parka and get read to navigate through massive glaciers, extreme blizzards, and strange, fierce creatures. Polar Explorer has big money waiting to be uncovered under all that snow. The temperature might be dropping, but the jackpots never stop climbing. This game has two big ones—a minor jackpot that resets at $250 and a major jackpot that resets at $1,000. But that big money is just the tip of the iceberg. Polar Explorer also features THREE bonus rounds, including an Explorer Feature, a Discovery Feature and a Hidden Treasure Feature. Entering one is easy, as long as you can keep your cool. Explore the last frontier and get the treasures home! Polar Explorer is a 25-variable payline game, featuring two big progressive jackpots—a major and a minor one. The game also features three bonus rounds with enormous opportunity to win big money! To play, just select the number of lines you'd like to play, as well as your bet per line. When you're happy with your choices, hit Spin and watch what happens. In addition to getting paid for matching the right symbols according to the Polar Explorer paytable, the game also rockets you into one of three bonus rounds—Explorer, Discovery, and Hidden Treasure. To enter one of the feature games, you'll need to make a full snowflake pattern on reels 2, 3, or 4. To find out what's at stake in each game, check out the descriptions of the three bonus features in the glossary section below. Polar Explorer also features a Feature Guarantee. If you don't hit a bonus round within 125 spins, you'll enter the Hidden Treasure Feature automatically. But in order to qualify, you need to make sure you're betting the max for each spin, which is 5x the current bet per line. The Feature Guarantee makes Polar Explorer one of the most popular new games at Slots of Vegas. But did you know you can actually try to trigger the Feature Guarantee on your own? Yup, you don't have to wait for 125 spins to attempt to enter the Hidden Treasure Feature. Just press Play on the Instant Trigger Chance to spin the wheel. If you land on green, you'll be taken to the Hidden Treasure Feature. If you land on red, you won't. No matter what happens, the 125-spin countdown will be reset. So while the feature offers you a big opportunity to enter the free-play round without having to wait for 125 games (assuming you don't enter it randomly earlier), if you don't end up hitting green, you could end up waiting longer. Explorer Feature: In this free bonus round were every spin is played using the lines and bet of the spin that rocketed you into the free play round, you'll find a ridiculous number of Explorer symbols. In fact, reels 4 and 5 are made up entirely of the substitute symbol, making winning even easier. Plus, if you hit any three Ships, you'll score another five free games. Discovery Feature: You'll find at least one Explorer symbol in this bonus round. You might also find a Ship, and if you hit three or more of them, you'll earn an extra eight games, on us. Hidden Treasure Feature:During this special bonus round, you'll enter a snow cave with five special chests. Select the chests to reveal your bonus symbols before the snow caves in. You can score up to three bonus symbols. You'll get to play eight free games, and if you hit any of your bonus symbols, they'll be replaced by an Explorer symbol before you get paid out. Substitute Symbol:Look for the Explorer symbol in Polar Explorer. It's the substitute symbol, and it can substitute for any other symbol in the game,with the exception of the Ship symbol. Scatter Symbol:In Polar Explorer, the scatter symbol is the Ship. Any wins with the Scatter symbol are added to line wins, and they're multiplied by the slot bet. Enjoy playing the best casino games!